Here’s a few comments I’ve had via twitter and facebook… thanks for all your comments, I love receiving them, keep them coming! Would be lovely with dried cranberries instead of raisins. Super easy to make & not expensive! Great recipe Priya! I love the idea of these! Shall make for my boys! Brilliant, please let me know how you get on. 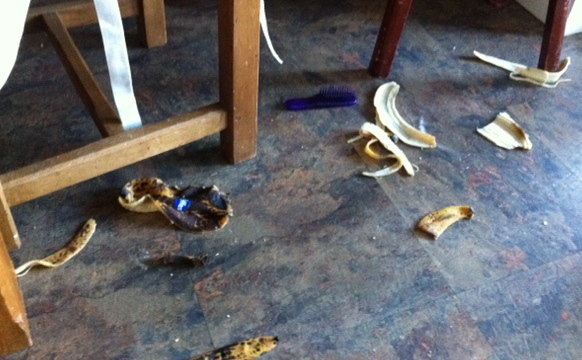 I’ve now got an adaptation for you all…. Apple and Ginger: Blitz up 200g dried dates and apple or apricot, add about 100ml water to enable it to blitz down and to make it a bit sloppy. Mix with the 200g oats and then grate in 2 apples and add 1-2tsp freshly grated ginger (though 1/2tsp dried would also work). Thanks for linking up to my blog! Looks delicious! Just tried making these or the first time. They smell amazing, looking forward to trying them when they’ve cooled a bit.. I think I already know I needed to use a little more water though.. The above should read ‘aged 8’. From my lovely daughter who plans on not even tasting the resulting oat bars. Our review? We used 150g dried apples 50d dried figs 100ml water, then 1 cup dried mixture (raisins, yellow sultanas, dried cranberries, dried cherries – all sorts) with 1/2 cup water, tsp ground ginger and 5 cubes crystallised ginger (I know, I know … added sugar) … with 400g oats. 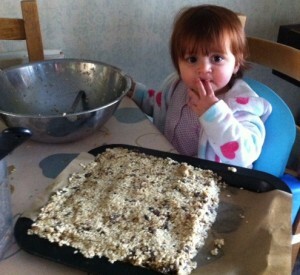 They taste great, they feel ‘healthy’, that’s to say the texture is clearly NOT a flapjack. But they’ll make a lovely substitute for about 50% of the flapjack I eat. Sadly, dear daughter was UNimpressed. But at least she tasted them. 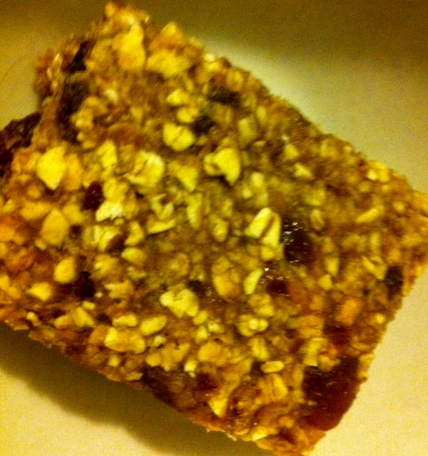 Thanks for finally talking about >No fat, No sugar, Superhealthy oaty bars. | Dietitian UK <Loved it! Hey sweetie, Love this and cannot wait to try it!!!! I have lost 28 pounds since the end of August and love discovering healthy new recipes. Any chance of you adding a bloglovin’ button or an email follow widget? I follow tons of blogs and find it hard to keep up without and “inbox nudge”. Would love to follow you. Hi Rose, thanks so much for your feedback! Great idea to have a follow widget – I’ve just added one 😉 Wow what an exciting weight loss journey you are on – Love it! Appreciate your comment and nudge to put the widget on, I’m still learning about this blogging thing! How many calories are approx in each ‘flapjack’? I’m sure you could if you wanted, but you’d probably need more liquid to mix. I’d suggest either using avocado as part of the fruit (my mum has tried this and says it’s great, but I reckon they won’t keep that well) or adding some peanut butter, which I’ve not tried but I fancy trying! PS. Hello Nicki and thanks for stopping by! Hi! Are these a soft or crunchy “flapjack”? Quite fancy making some with apricots or dates to give me an iron boost! 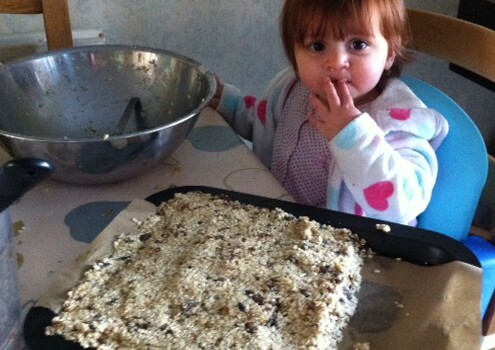 Hi Lavinia, they are a soft flapjack due to the fruit content. I’ve made them with dried apricots and dates and they have been delicious! 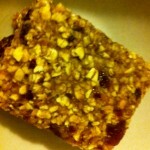 I’ve also got a breakfast bar recipe on the blog which also has dried apricots in, you may like to take a peek. Let me know how you get on! Can’t wait to make this tomorrow, guilt free treats are on the way. Thank you!!! Thank you for the healthy recipe. I’ve been looking for a nice alternative to the ‘norm’ because I want to keep it low fat, which means no butter – so this will work amazingly well for my diet, and to stop me snacking on sweet stuff too. Well I shall give these a try tonight thank you! I’ve been doing these for a year or so with different ingredients each time. However I’ve always used fresh dates each time, way softer, fudgier and more tasty than dried. Took 2 batches with me on a 200 mile walk once. Weighed quite a lot but good energy! Thanks so much Louis, great to hear 🙂 I love the idea of using fresh dates, must try that myself. Appreciate you taking the time to leave me a comment. Hi, I am hoping to make these for my one year old, but she doesn’t have any teeth yet, are they soft enough for her to gum? And can they be frozen? Hi Lisa, yes the fruit in these makes them soft, especially if you use apple. I’ve not tried freezing them as they never last that long in our house. I’m not sure if they would crumble when you defrost them. If you wrap them individually in clingfilm them may be ok.
is it meant to read 200g or 400g of oats as in one version you put 200g, just that it seemed a bit dry when i made it so i had to add more liquid.